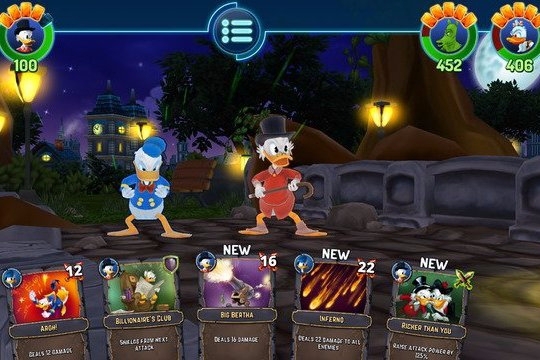 Sitting around thinking about how much you'd like to see a Disney mobile game with card game elements? And you want it to feature Donald Duck, Uncle Scrooge, and other familiar characters? Today's your lucky day, as The Duckforce Rises has launched in Australia and New Zealand, most likely to follow with the rest of the world soon. It's interesting, especially since we haven't seen hide nor hair of this game, and yet it's already in soft launch in some areas of the globe. 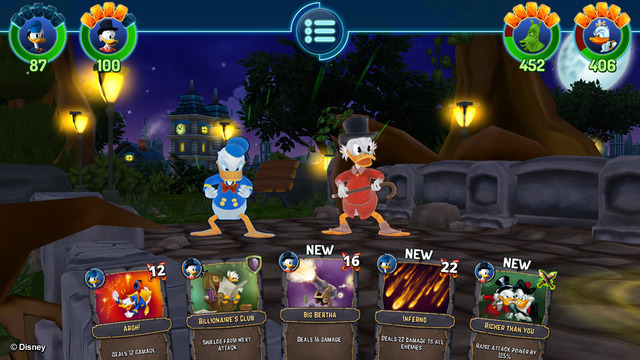 It looks to be a card battler where you build up teams to face off against enemies with special Disney character appearances here and there, and it takes on a F2P model with (surprise!) premium currency requirements. Uncle Scrooge might not want to part with much of his money, so that might not work out all too well for him. I'm pretty excited to give the game a try, especially since it's card-based, like many of my favorite Kingdom Hearts titles. Hopefully it'll prove successful enough for a worldwide launch.